Impact resistant polyglass plate covers are designed for use in microwaves and heated carts. Allows plated entrees to be stacked and has excellent insulation properties. 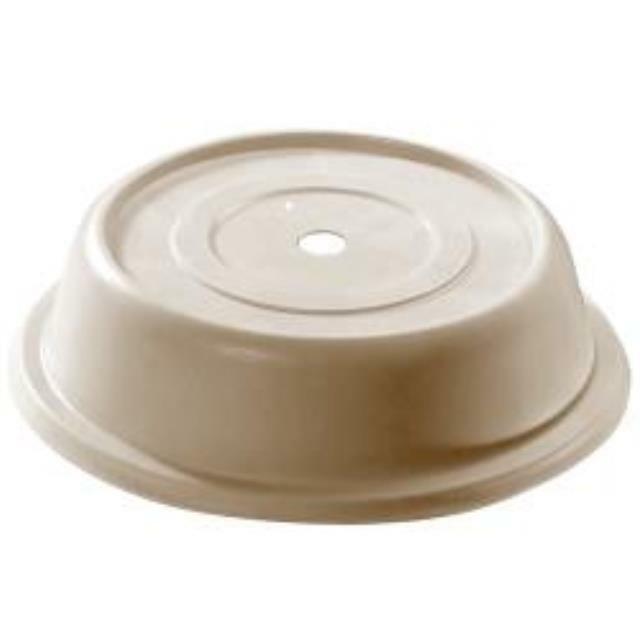 This cover fits our scalloped edge white plates and our white with silver rim dinner plates. * Please call us with any questions you may have about our plate cover 10/unit rentals/sales in State College, serving Central Pennsylvania.